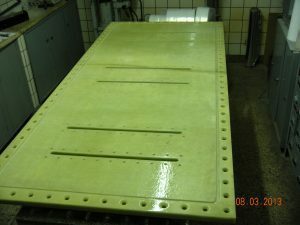 Epoxy Glass Laminates in Flat Plates – Imavolt S.A. This material is made up of fiberglass supports in the form of cloth or mats, strengthened at higher temperatures and pressures to form solid and tough plates with high rigidity. This resistance depends both on the relative amount of glass present in the laminate and on the orientation of fibers, while chemical and electrical content depends on the type of resin chosen. All of these characteristics are dealt with in standard ASTM D-709 standard. 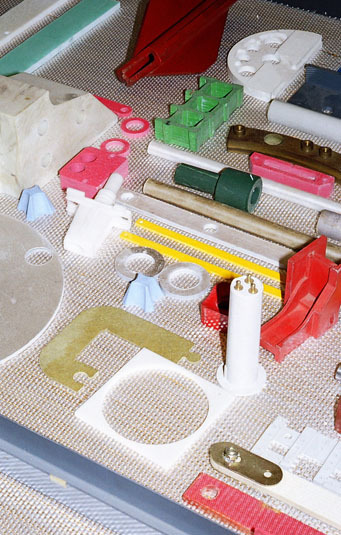 Our materials comply with its grades and descriptive characteristics. Good insulating rigidity, dielectric losses under dry or humid conditions. Similar G – 10 properties but better rigidity to high temperature. Similar G – 10 properties but flame resistance. Similar G – 11 properties with flame resistance. They have high rigidity with a very high weight-resistance ratio, good resistivity and surface strength. The most common applications are medium and high voltage rotation machines such as slot closure wedges, terminal plates, insulating supports and in industry in general, where high dynamic values are required. It is manufactured in 0.3 to 50-mm-thick plates, measuring approximately 1000 x 1600. Tubes: circular, winding tubes. Consult about diameters and length. 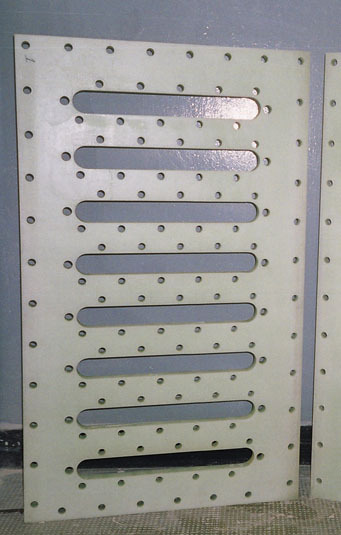 Bars: From 6-mm diameter on; pultrussion method. For thickness greater than the ones mentioned in the chart above, tolerance increases at a arte of 0.1 mm per 8 mm of increment of laminate thickness. It is manufactured in maximum measurements of 1600 x 950mm.